Quick update since it has been about a week…I played a couple rounds since last post with some mixed results. Played on the 8th at Vineyard and shot a solid 77 (+7) with three 3-putts. My last round on the 15th, I played at Vineyard again, but I shot my highest round in a long time with a very bad 86 (+16). Funny thing is I actually feel really positive about my game right now and I feel like the score of 86 is just an outlier. My short game is costing me so many strokes I can’t even count, Four 3-putts in this round and only 4/14 on up and downs attempts as I only hit 2 GIR’s all day. That was mostly due to the high winds and semi erratic driving that left me with basically no chance to hit a lot of greens. I’m playing tomorrow and I’ll probably update on Sunday about how I played, but I’m actually super confident going into tomorrow even after coming off my worst scoring round in a long time. The stats might look terrible, but I actually hit a lot of solid shots and my work at the range since has been real solid. It’s hard to explain I guess, but I really feel like my game is improving. I’m starting to ingrain a consistent pre shot routine and now that I’m playing more often, I’m starting to understand my golf swing and the feelings associated with good and bad strikes. I’m honestly not too concerned with scores right now, just as long as I’m continuing to improve certain aspects of my game, the low scores will come and take care of themselves. I’ve dedicated a lot more time to practicing my short game the past few days and will continue going forward as that will be what lowers my scores the quickest. I’ll update again on Sunday and let you know how I played tomorrow. UPDATE 1/20/14: Unfortunately my plans to play Saturday fell through late Friday night and was unable to get out and play. Will be going to the PGA Tour Farmers Insurance Open here at Torrey Pines this week and I’ll take some pictures and video from Wednesdays practice rounds for you all to enjoy, so stay tuned! 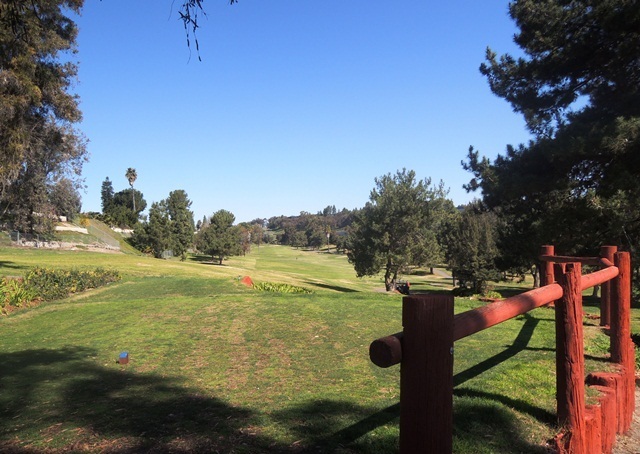 On New Year Day, after posting my 2014 golfing goals, I headed out to Oaks North, my local executive course, to get my first official 2014 golf round in. I hope that this round is a reflection of what’s to come in 2014 because I hit the ball amazing! Hit officially a total of 14 GIR’s, but had two more that were just on the fringe where I was able to putt, so really closer to 16/18 GIRs. Been working on standing a little further away from the ball at address, feels like a much more comfortable position and it is allowing my arms to really move through the hitting area more freely. Ball is starting more down my intended starting line with a nice very tiny draw that was pin seeking all day. The Achilles heel for my game right now is my short game, my putting in particular, it has been terrible. Both my lag putting and short putts have been bad and as a result I have been 3 putting like crazy. This round, despite almost hitting 16 greens in regulation, featured four 3-putts and only two birdies, resulting in a +4 total round. Having more 3 putts than 1 putts in a round is just not going to be conducive to shooting low. I think a good bit of what’s wrong with my putting could just be mental, but I’m playing on Saturday at a course where last time I played, I had 40+ putts, so let’s hope I can putt a little better than last time. 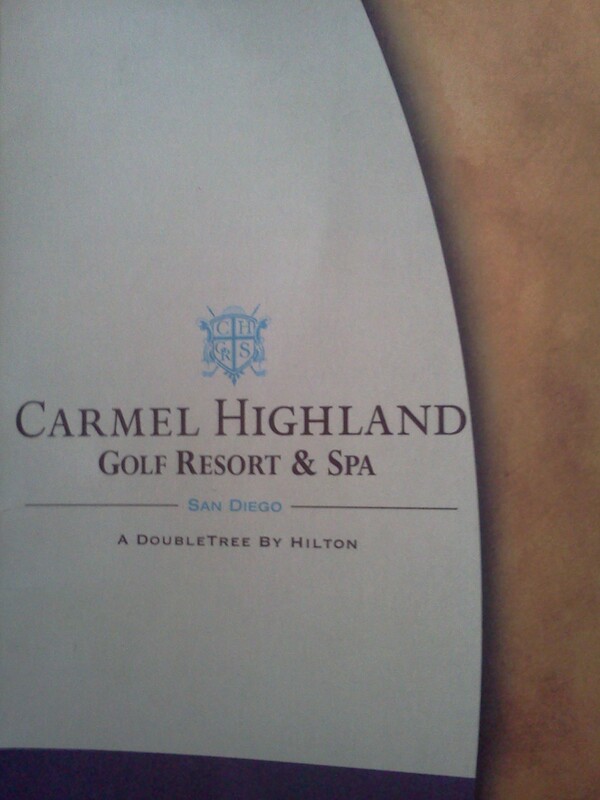 On Saturday the 4th, I met a friend over at Carmel Highlands and played a round at the Par 72 course. Carmel Highlands is a tough tree lined course with really fast sloping greens, it is not in the best of shape right now, lots of dead patches, sandy lies and hardpan just off the fairways and greens. Makes for a difficult track, but I continued to hit the ball well, however my short game really cost me again. Shot a disappointing (+9) 81, had two more 3 putts and two double bogeys, both of them coming after I was in the middle of the fairway off the tee. Hit 10 GIR’s, but was 0/8 on up and downs where I missed the green. 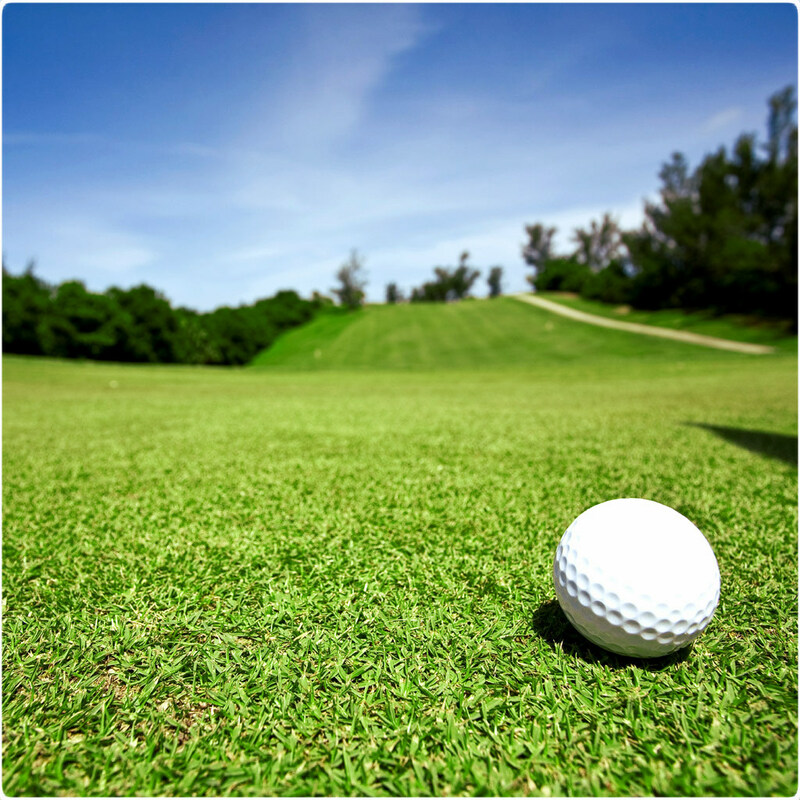 I know now for sure the area of my game where I’m losing the most strokes and I can improve my scores tremendously quickly if I can just tightening up my short game from about 100yards and in. Having a really great and solid short game is the only way I’m ever going to get to scratch, I’m honestly hitting the ball well enough right now to shoot in the low to mid 70’s every time, so a lot more hours on the practice green is in my future. Well that certainly crept up on us fast huh? It is now the start of a brand new year, 2014 and I am happy to see it. I’ll admit I’m the type of person who is a sucker for New Year’s resolutions. The start of the New Year always fills my mind with so many possibilities, the chance to start fresh and refocus myself on my new goals. I’d say I’m almost always at my most positive and creative state on December 31st, of course like most, that heightened state of mind slowly dissipates a few weeks later with the realization that truly reaching your goals is going to be a tough, harsh, mental and physical grind, but I’m ready. Before I talk about my 2014 goals, I should probably do a quick recap of my 2013. I started this blog at the end of May, so I’ve been at it for a full 7 months now, but in the past couple I have only been focusing on golf and not this blog. In 2014, I will stay consistent in updating this blog because my hope when starting this blog was to entertain and possible help others who had similar dreams and interests, but also to feed off your viewership as a way to hold myself accountable to not only better my golf game, but better myself as a person as well. In 2013, I accomplished one of my big goals and that was to win at the annual 3-day Palm Springs golf tournament. Finishing 1st and beating a field of 85 players was an amazing feeling and I’m very proud of myself for staying focused and playing well under pressure. My other main goal for the 2013 was to shoot an under par round of golf on a regulation course. Unfortunately, I fell just short of that goal, posting a few +1 and +2 rounds, but had multiple 3-putts that cost me that under par round. Had a round, at one of the most difficult courses I’ve ever played this year, where I shot +1 with three 3-putts…eliminate those and it’s a (-2) round. Not all is lost however, I did manage to shoot a 4-under round at an executive course just about a month and a half ago and in some aspects, it can be considered tougher to shoot under on an executive because of the amount of par 3’s, where you must hit it close in order to score. 4-under par anywhere I feel like is a respectable score, so I actually consider this goal somewhat accomplished. Those were my two big main goals this past year and I’m really pleased that I was pretty much able to accomplish both. So now I head into 2014 and I’m ready to tackle it with full force. This is going to be the most demanding year of my life; I will push myself harder and further out of my comfort zone than I have ever been before. It will no doubt be uncomfortable and difficult, but I know that if I put in the effort and hard work, endure the struggles and sacrifices, that I will see myself accomplish the things that I can only dream about now and start to truly fulfill my potential. 1) Win our annual work tournament in April/May. It is a scramble style tournament and my team and I have shot (-10) each of the past 2 years and come in 2nd and 3rd. This will be our 3rd time playing and I want to win this tournament badly. I will definitely have to improve my game over the next 4-5 months if we want to win as a lot of the shots will fall on my shoulders. We will have to shoot in the 50’s to win and if I play my best, I feel we can for sure accomplish that. 2) Improve on my scores from last year in Palm Springs and shoot an under par round at the tournament. Even though I won this past year, my short game was abysmal and I could have easily shot a lot lower if that part of my game was sharp. So my goal is to not only win again obviously, but to improve my total score and have one of the rounds be under par…that would be amazing. The tournament isn’t until August 2014, so I have 8 months to practice and I think I will be able to sneak a couple under par round of golf into my game by then, hopefully! 3) To play in and win a Golf Channel Amateur Tour Event. I’ve wanted to play in these events for the past 2 years now, but have been hesitant to make this next step until I felt like my golf game was strong enough. Truly it’s more just about nerves than anything else, so my goal is to step out of my comfort zone and play in a few tour events this year. My plan is to focus on practice for a few months and then play some events starting in April. So those are my top 3 golfing goals for the year 2014, besides the obvious one of trying to get down my handicap to scratch. I will also aim to update this blog a lot more frequently, thinking at least 2 times a week going forward like I did when I first started. I’m sorry I have not put the time and effort into this blog as I had intended, one post a month is just not right. Thank you to all of my viewers for the wonderful encouraging comments you guys have provided in 2013, they really do help me in staying positive and focused on accomplishing my goals and dreams and I hope you all stick around, follow and enjoy my golf journey in 2014. 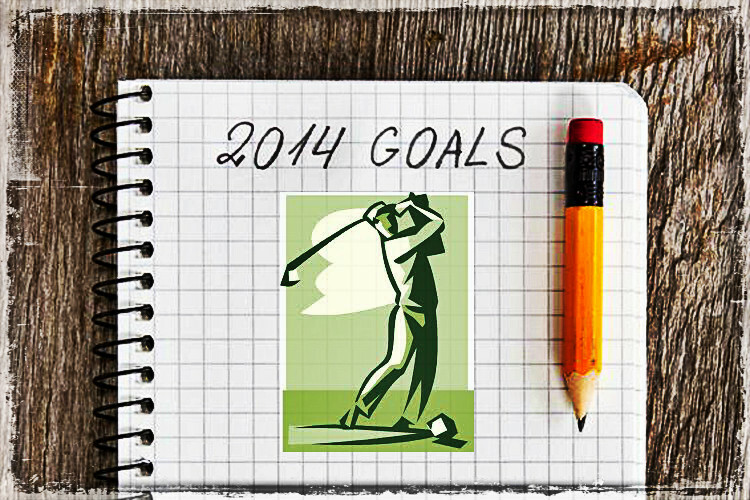 I’d like to end this post by asking what are your golfing goals for the year 2014? I’d like to hear them in the comments below and I wish you all the best with them. I hope that this blog can possibly be a source of encouragement or help for you as we both head down that mysterious path together that accompanies that journey to accomplishing dreams, cheers!